Preserving wildlife viewing opportunities is just one of the ways the Teanaway purchase may affect you. Photo: WDFW. You don’t have to live in the Yakima Basin for the new Teanaway Community Forest to benefit you. This historic land purchase by the Washington State Department of Natural Resources (DNR), and the first community forest under 2011’s Community Forest Trust legislation, will likely impact your life in ways you may not expect. >>Find out more about the Teanaway Community Forest. More open spaces for you to enjoy. The Community Forest management model was designed to help communities protect forest lands from being commercially developed. People across the state took a stand to protect the cherished Teanaway landscape by placing it under state management. Part of a broader vision. The Teanaway purchase is part of the Yakima Basin Integrated Plan addressing water shortages in the Yakima Basin. The Basin Plan will increase the supply of water to irrigate crops, provide clean drinking water, and to rebuild depleted fish stocks. This vision is shared by a coalition of government agencies, irrigators, environmentalists, and more. Your forest is part of the solution. Two state agencies working for you. 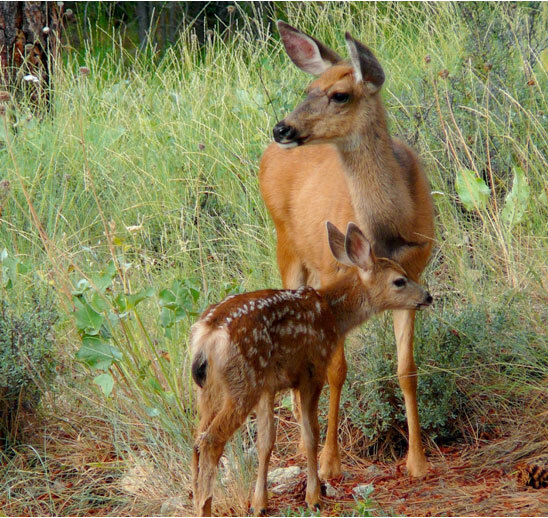 The DNR will jointly manage the Teanaway Community Forest with the Department of Fish and Wildlife (WDFW). This combined pool of expertise will create a land management team that is not only highly skilled but robust enough to help this vital landscape reach its full potential. Access to Recreation. The Legislature directed DNR and WDFW to maintain and, where possible, expand recreational opportunities consistent with watershed protection. That means you will still be able to enjoy your favorite outdoor activities in a landscape you love. Public input on land management. The Teanaway Community Forest Management Plan will be developed with the assistance of a Community Advisory Committee. Throughout the process there will be opportunities to make your voice heard. To get involved, sign up for the e-newsletter. Protects locally sourced produce. The Teanaway Community Forest is at the headwaters of the Yakima Basin watershed. What does that mean for you? The Yakima valley is home to one of the largest agriculture areas in the state, critical to locally sourced produce and national and international exports. Protecting the watershed will increase the water supply and drought-resistance in the valley, helping to support sustainable agriculture and local produce for all Washingtonians. Working landscapes save local jobs. The Teanaway is home to grazing lands and forests that will eventually provide sustainable timber harvests. Revenue will be invested back into the forest, and the overall economic impact will benefit the entire state. Wildlife viewing. The Teanaway Community Forest is due for a restoration makeover that will improve the quality of habitat available for many species including owls, eagles, deer, elk, bull trout, steelhead, and spring Chinook. Don’t forget to bring your camera on your Teanaway Community Forest adventure. Many Washingtonians live in this state for the rich quality of life and access to outdoor opportunities. The Teanaway Community Forest is now another reason we can be proud to call Washington home. What’s your plan if a disaster strikes?